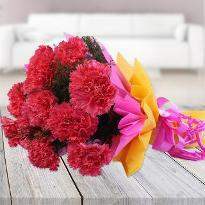 Valentine's day is the perfect day to express your love, affection and admiration. 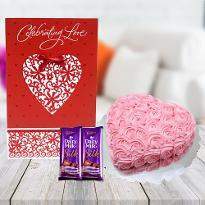 Sending Valentine's day gifts on this day will be a good idea to show your adoration towards someone you love. 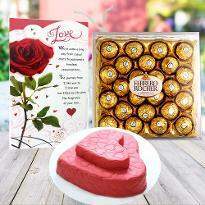 Start your love story by sending Valentine's day gift online in Navi Mumbai from Winni. 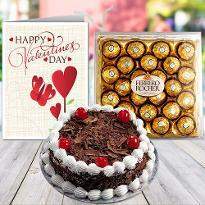 We have the best of online valentines day gift delivery service. 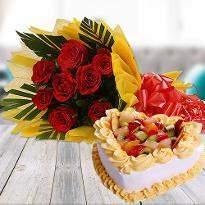 Life transforms every day and many things happen that you have never ever imagined happening in a million years. 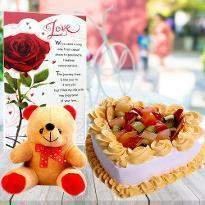 You have to shift in a distinct city and togetherness means having each other in hearts. 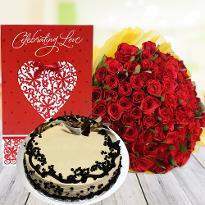 However, special days like Valentine’s day should be made unforgettable through Valentine gifts. 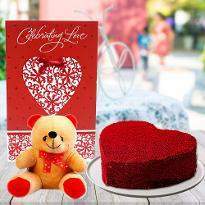 You must take the assistance of online portals which lets you get closer to your special one by sending valentine’s day gifts. 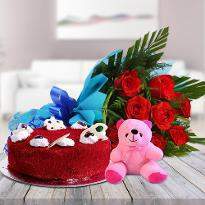 You can too share your love and the joy of togetherness by getting your emotions delivered to your beloved’ doorstep in Navi-Mumbai. 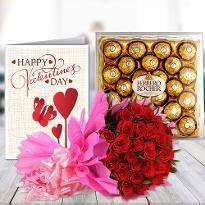 Valentine’s day is the right day to speak your heart out and therefore it is the perfect opportunity for you to showcase your undying emotions to your special one. 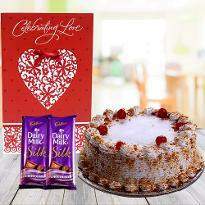 Valentine gifts enable to convey love and affection to someone special. 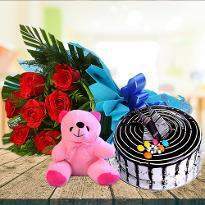 Winni is a reliable option when it comes to online Valentine gifts delivery in Navi Mumbai or any other city of India. 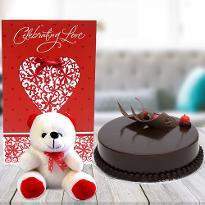 We, at Winni, understand that you really want to delight your special one and that’s why we have come up with same day valentine gifts delivery in Navi-Mumbai. So, what are you waiting for? 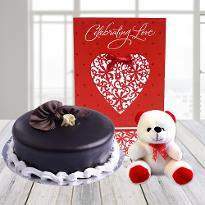 Go ahead, place your order for Valentine’s day gifts and send to your partner’s doorstep in Navi-Mumbai. 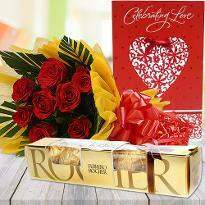 Your partner will be stunned to see such an amazing gift on Valentine’s day. 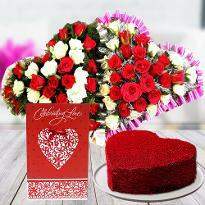 Valentine’s day is the feast for couples to commemorate love and it’s the opportunity to singles to express their deepest emotions to the special one. 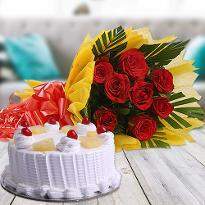 The day is commemorated with great spirits all over the world. 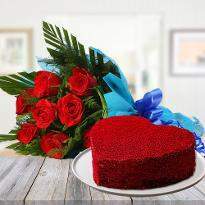 Lovers hold the hand and get lost in the eyes of each other. 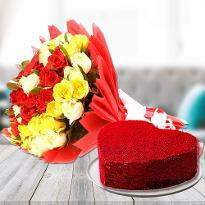 This is the most common sight that everyone can easily witness on Valentine’s day. 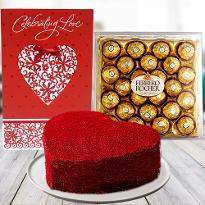 Perhaps, Valentine’s day celebration is incomplete without a romantic gift. 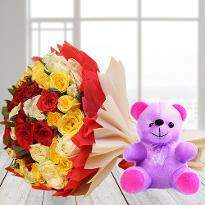 So, you should choose the right gift for your partner on Valentine’s day. 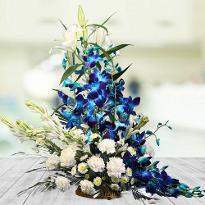 You should choose a gift that shows them what they mean to you and that you can’t imagine a happy as well as content life without them. 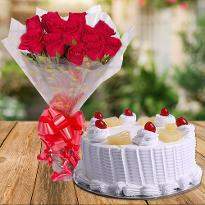 To send Valentine gifts to Navi-Mumbai, you can pick from the variety of online Valentine gifts which are available at our online portal consisting of cake, flowers, personalized gifts and many more. 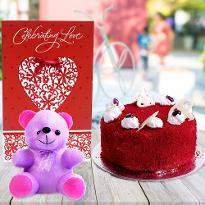 We deliver Valentine gifts to Navi-Mumbai and many more cities of India, so it doesn’t matter where your special one resides we will deliver your immortal love to them through our heartfelt Valentine gifts. 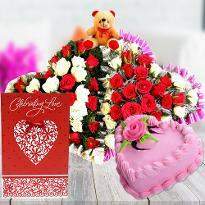 Our online valentine’s day gift delivery in Navi-Mumbai is the best option for those couples who are in a long distance. 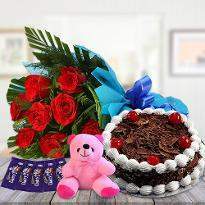 Therefore, order Valentine gifts online and send to your loved one's place in Navi-Mumbai to convey your love, care and affection. 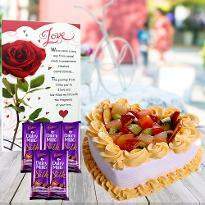 Products in this category have been rated 4.9 out of 5 based on 139 reviews.